Western Australian Oil & Gas Group Chairman explains how engineers are managing an industry environment where job opportunities are scarce. Just a few years ago engineering was considered one of Australia’s major skills shortages as industries like oil and gas grew rapidly in the country. Fast-forward to the second half of 2016 and oil and gas engineers are in survival mode after a downturn in market conditions forced operators and engineering firms to restructure their workforces. Western Australia (WA) has been hit as hard as any Australian state, with a large portion of the industry’s expansion taking place off its north-west coast or in capital Perth’s corporate offices. The main cause of the dramatic fall in job opportunities is of course due to the fall in the oil price. But as WA Oil & Gas Group Chairman Clinton Smith explained to Rigzone the legacy of the skills shortage lives on and has contributed to the current employment predicament. “It has been the oil price that has affected [engineers] and we are also suffering from the aftermath of the boom to a certain extent,” Smith, a senior process engineer in Atkins Global’s Australian oil and gas division, said. As a result, Smith continued, a lot of engineering design projects were pushed overseas to lower cost markets, such as India. Western Australia has become more affordable to do business since the oil price drop. Engineering services have fallen significantly in the state, by 25 percent in some cases, Smith said, while the Australian dollar has dropped substantially against its U.S. counterpart. However, this has not meant that the outsourced engineering services have returned to Australian shores. “Australia isn’t quite as expensive to do engineering as it used to be – by the same token I don’t think there is much hope of the design projects coming back any time soon,” Smith said. The WA Oil & Gas Group, which is part of the Engineers Australia industry body, develops, promotes and supports development of the profession. Smith said the group provides forums for communication between engineers and other stakeholders related to the sector, with much of the discussion currently centered on how the profession can manage the downturn. While job cuts have grown into the thousands, Smith said that engineering firms were also offering employees reduced salaries or working hours to keep them employed. Engineers who have accepted new terms, Smith remarked, were choosing to ‘tough it out’ as the cycle continued. Others had returned to studying to broaden their skill base, whereas Smith is aware of one engineer that had even taken up Uber driving to earn extra money. Smith said another factor contributing to the difficult employment conditions for WA engineers was the struggles of the mining industry in the state. In the past, oil and gas engineers with relevant disciplines would look to mining for employment during a period of low oil prices. With a commodity price crisis also affecting the mining industry, a switch of sectors had not been an option on this occasion. “If you are a control systems engineer, doing that in the oil and gas game isn’t too different from doing it in the mining game. Typically in the past when oil has been down mining has been up and vice-versa, so people have been able to switch between the two,” Smith said. Smith did expect that the completion of WA’s mega liquefied natural gas (LNG) projects – Gorgon, Wheatstone and Prelude – would result in new opportunities for engineers in the coming years. A 2016 report from Hays Recruitment backs Smith’s LNG outlook, outlining that an estimated 3,000 process workers would be required in the next few years. “I suspect things will be tough for the next year or two, but we will see more opportunities when we get into the operations phase of these big LNG plants,” he said. Despite the severe impact of the decline in the oil price Smith was hopeful the conditions would not deter the next generation from targeting a career as an engineer in the industry. He said it was important that the next wave of engineers be developed or the industry risked experiencing yet another skills shortage. “I certainly hope it doesn’t dissuade people from getting into the industry. To a certain extent having a lack of people going into the boom kind of exacerbated the problems that we are seeing now,” Smith said. Smith added that he expected there would be a range of opportunities and positions for oil and gas engineers to pursue in WA. “The oil and gas industry is going to exist for some time yet and even if it is with a lower oil price there will always be work. 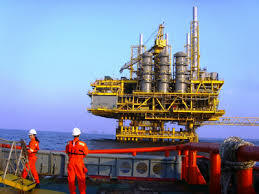 There’s always going to be challenges – even the challenges of producing oil more cheaply, continuing to do things safer and dealing with ageing assets – these are all engineering problems which we need innovative engineers to address,” Smith concluded.